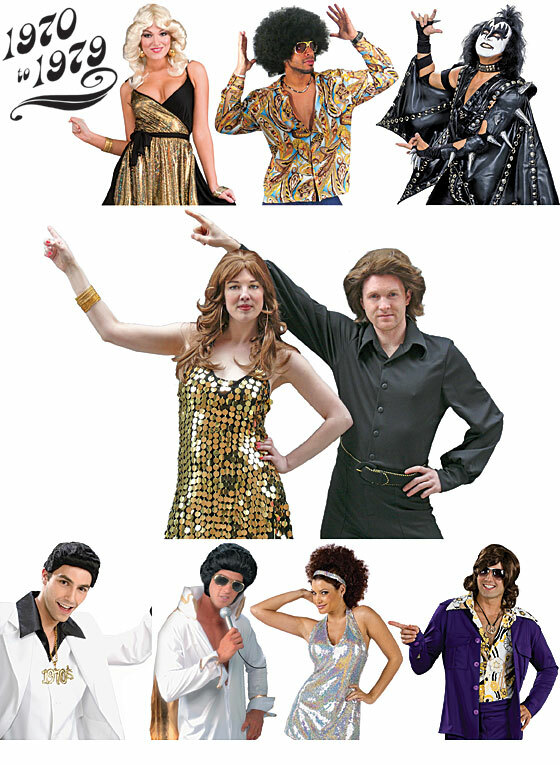 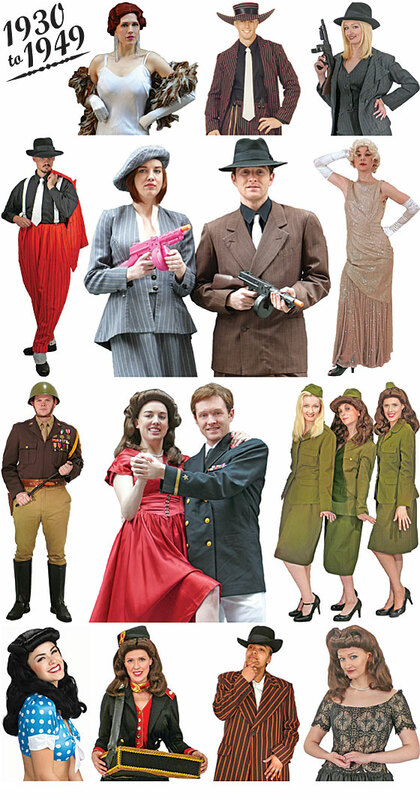 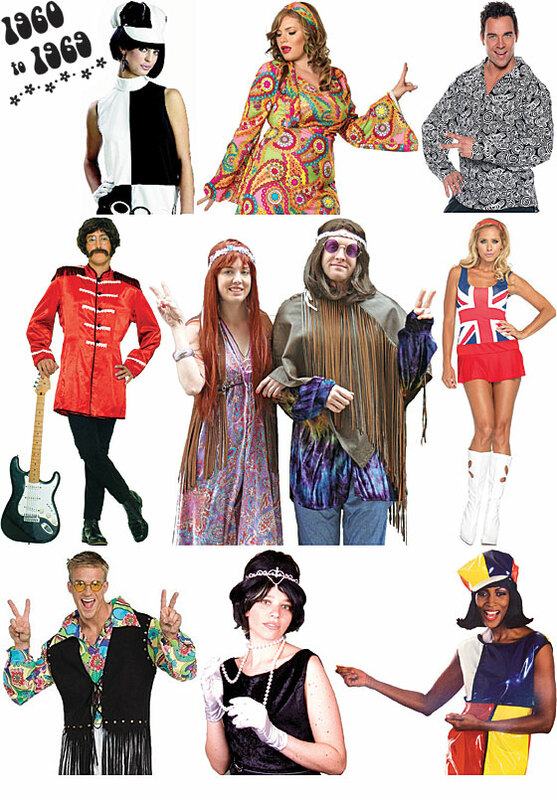 Here are just a few of our Decades costume ideas. 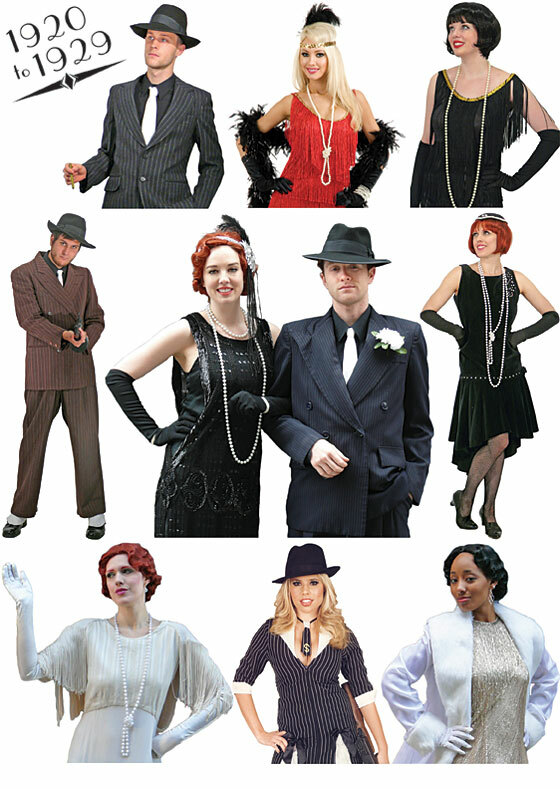 Click on an image for more information (if an image does not have a link, it is available only at our 200 Broadway location). 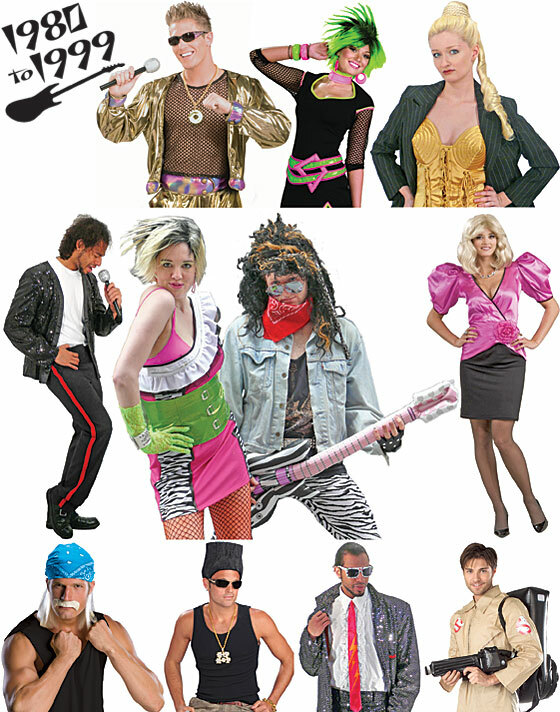 We have everything you need for your Decades costume! 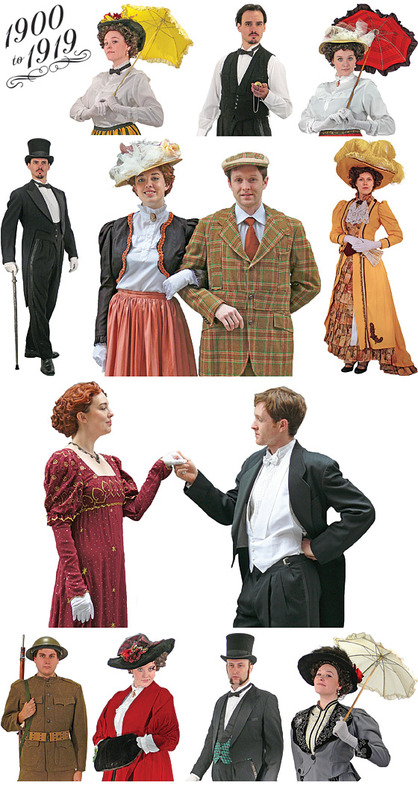 From turn-of-the-century Edwardian formal wear to 80s and 90s rockers, and everything in between...we've got it all! 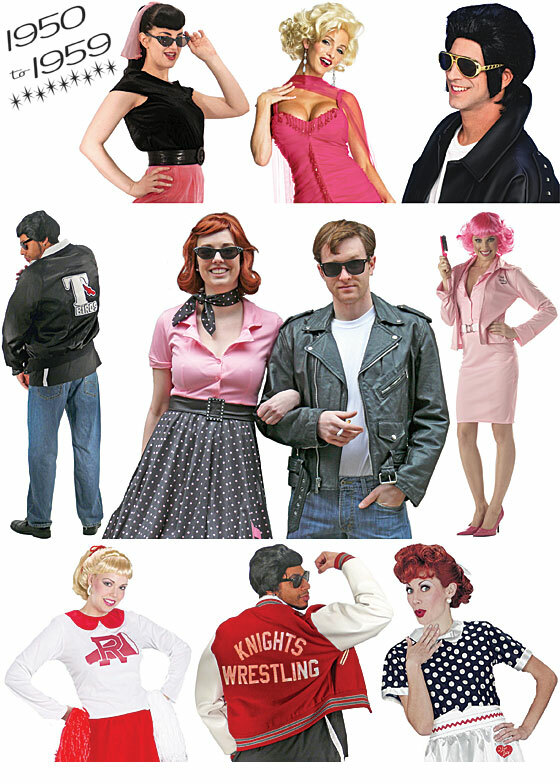 If you have any questions about specific products, please contact us.